Yet the United Nations voted overwhelmingly to condemn President Donald Trump's decision to recognize Jerusalem as the capital of Israel. This came despite Nikki Haley's threats to pull funding from the UN and aid to countries. The final vote: 128 countries voted for the resolution of condemnation, 9 countries voted "no" (agreeing with President Trump), - while 35 nations abstained (including Australia, Canada, Mexico). What follows is a partial nonverbal analysis of one portion of Ambassador Haley's Speech at the UN last week. AMBASSADOR HALEY (beginning at 0:32): But we’ll be honest with you Ω When we make generous contributions to the UN, we also have a legitimate expectation that our goodwill is recognized and respected. When a nation is singled out for attack in this organization, that nation is disrespected. What’s more, that nation is asked to pay for the privilege of being disrespected. During 0:34, immediately after she says, "... 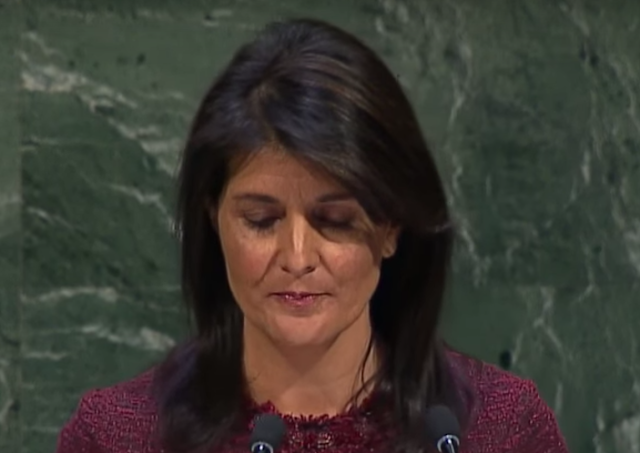 But we’ll be honest with you ...", Ambassador Haley makes an expression of Disgust. This is a relatively subtle-to-mild facial display of this emotion and notated by the symbol Ω. Setting aside nonverbal behavior for a moment - from a Paralanguage/Statement Analysis perspective, whenever a person says, "to be honest with you" or in this example, with the forced teaming (de Becker) verbal modifier variant of "we'll" ("... we'll be honest with you ...") - there's an extremely high likelihood of overt deception and manipulation occurring. Opposite movements of adjacent tissues - e.g., the upper eyelids moving down (partially closing) - while the nearby tissues of eyebrows and forehead are moving up - is an unnatural dynamic and a nonverbal red flag. 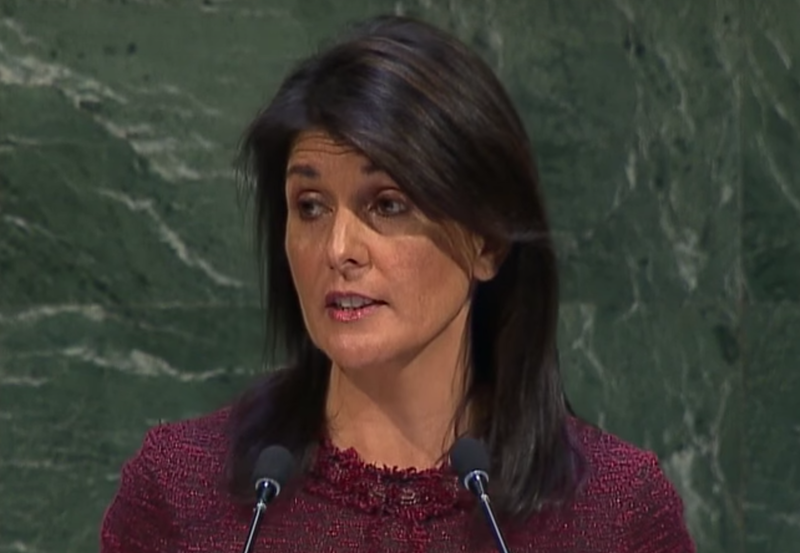 Summary: During her speech to the UN on Thursday 21 December 2017, Ambassador Nikki Haley's nonverbal behavior projected the emotions of Disgust, Contempt, Arrogance, and Feigned Disbelief - toward any UN members who would disagree with President Trump's stance regarding the United States' recognition of Jerusalem as Israel's capital.